Celebrate the life with those who have passed on, featuring Intuitive Medium Deborah Hanlon, as she connects through energy to our loved ones and friends who have passed away. 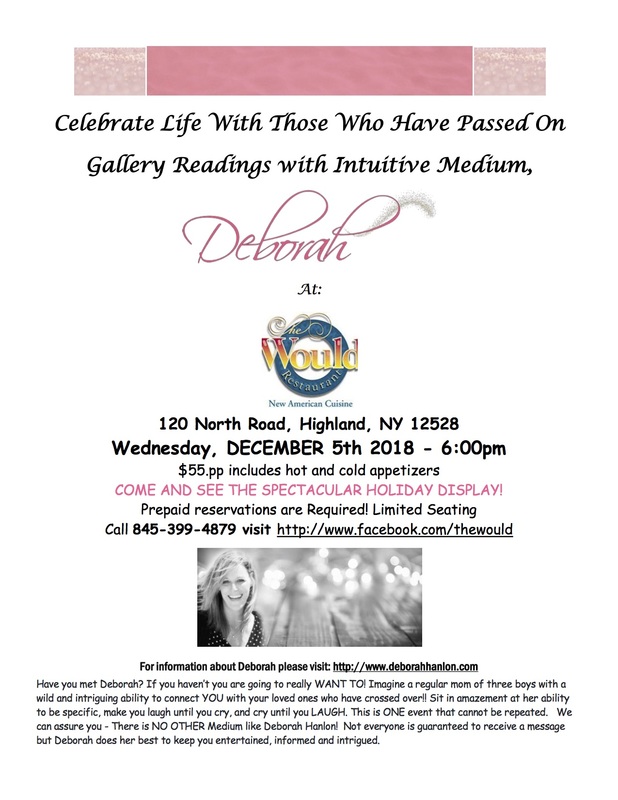 Celebrate the holiday season at The Would Restaurant, 120 North Road in Highland, is hosting a Gallery featuring Intuitive Medium Deborah Hanlon. It’s $55.00pp which includes hot and cold appetizers. Prepaid reservations are required by calling 845-399-4879 or www.facebook.com/thewould.